We’re about to get very busy around here. You too?… The holiday season is my favorite time of year but it’s also not called “hustle bustle” for nothing. I’ll be hustling my bustle everywhere and baking up gifts and company-fare like there’s no tomorrow before I know it. If you’re with me, you and I both know we want a few simple recipes up our sleeve for when guests stop by last-minute, or even for a planned event where we want at least one impressive appetizer that doesn’t need a lot of work. This is it right here. I guarantee everyone will be pleasantly surprised and impressed by these little canapes of Smoked Salmon with Ginger Butter. Start with tiny cocktail breads – these make a good pantry (or freezer) staple to have on hand for last-minute impromptu snacks. Next, smoked wild salmon, sliced thin. The salmon needs very little adornment because of its already salty, rich flavor. But the perfect finish comes from pungent and aromatic fresh ginger that’s grated and whipped into sweet creamy butter. Spread an ample amount onto the toasts and finish with a sprinkling of onion chives and fresh ground pepper. The complexity of flavors in every bite will surprise and delight you. That’s it? That’s it. 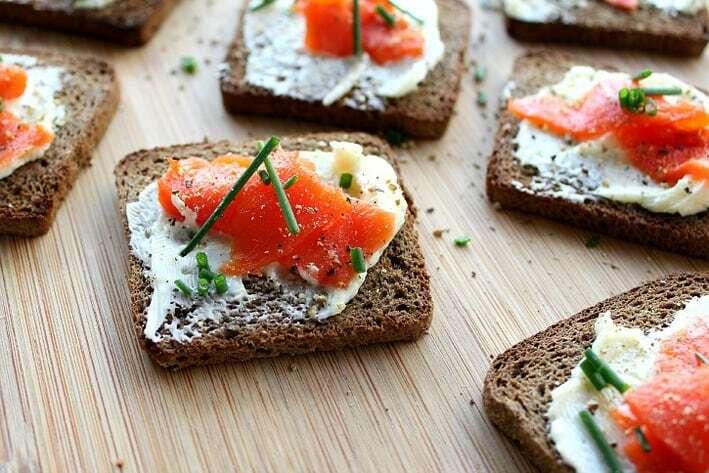 Almost too simple to be a recipe, Smoked Salmon with Ginger Butter compliments any event. Serve it with soup or salad for a nice luncheon, or bring it out for the weekly football-watching crew. This would be the perfect starter to a prime rib dinner or a star appetizer at any holiday gathering. Cook’s note: Some people prefer the thicker smoked salmon that appears more “well-done”. This recipe works great with that too. Just flake the salmon into pieces and sprinkle it over the butter. Simple and sophisticated, these easy but unusual canapes are sure to please. Ginger butter may be made up to a day ahead. Serve on pumpernickel or rye cocktail bread. Adjust oven rack to upper middle position. Preheat broiler. Place the ginger and butter in a small bowl and beat with electric beaters until smooth and fluffy. Set aside. Note: This step can be prepared the day before assembly and serving. Place about 30 squares of bread on a baking sheet. 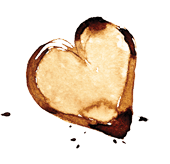 Place under broiler and toast on both sides, watching carefully to prevent burning. Usually, when the little breads start to curl up, I know they're ready to turn over. Don't worry, they'll flatten back out as they toast on the second side. 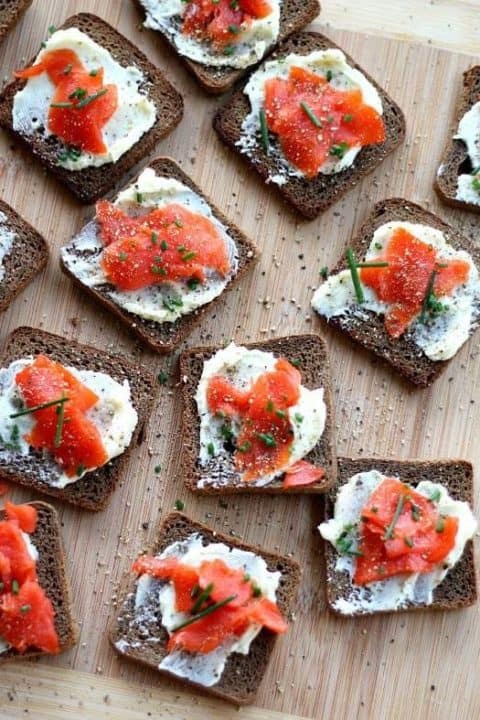 Cut the smoked salmon into strips or pieces that will fit on the toast. 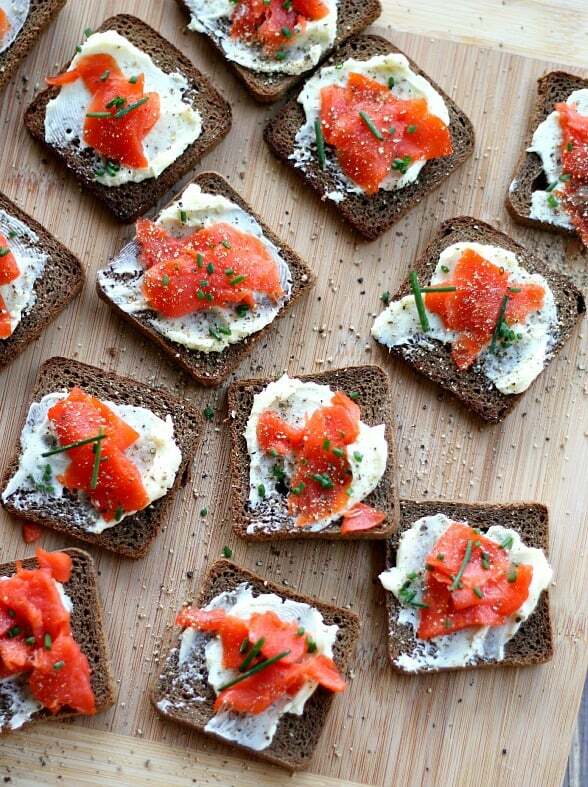 Spread each piece of bread generously with the ginger butter and top with a slice of salmon. Sprinkle with fresh chives and freshly ground pepper. Recipe adapted from Cold-Weather Cooking Cookbook.